We did it! 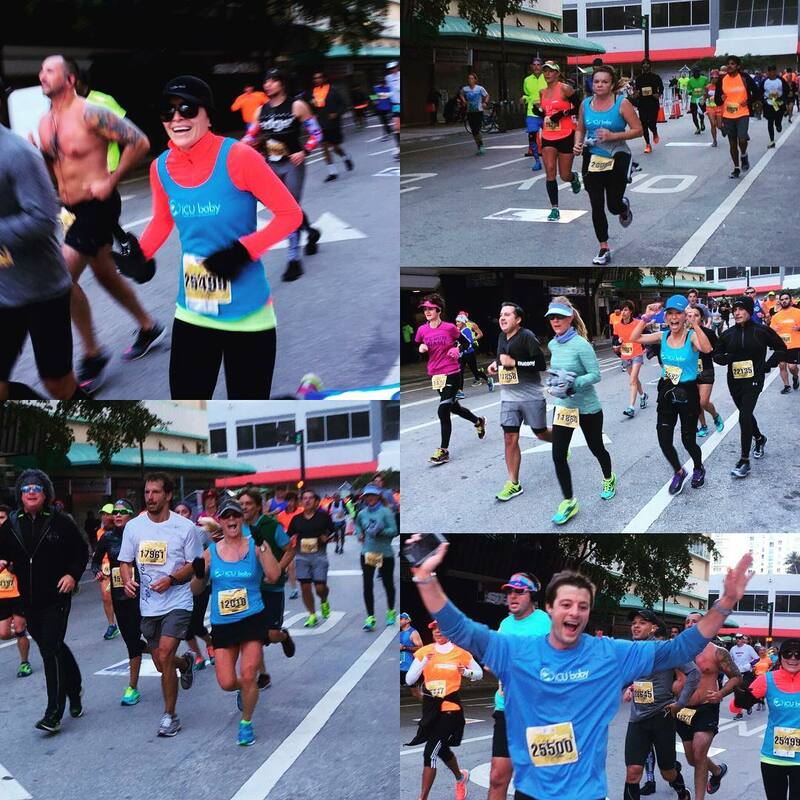 ICU baby had a team of 15 athletes participate in the 2016 Miami Half and Full Marathons on January 24th. Our goal was simple: to raise community awareness about ICU baby as a resource for NICU families and to bring in funds to further support our programs. Mission accomplished! Thank you to all of those who participated on our team and those who cheered for us in the chilly temperatures. All funds raised will be used to purchase Kangaroo Kuddlers for the families with babies in the NICU at Jackson Memorial’s Holtz Children Hospital. Kangaroo Kuddlers facilitate skin-to-skin contact – “Kangaroo Care” – between parents and their infants.